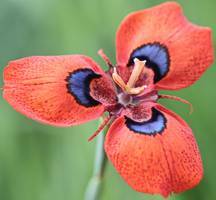 The spectacular orange or brick-red blooms of Moraea tulbaghensis appear in profusion from mid to late spring, yet are seldom seen in the wild, and the species is not widely grown. Although loss of natural habitat has placed it on the Red List, it is highly amenable to cultivation. Moraea tulbaghensis is a winter-growing, summer-dormant geophyte (a plant that grows from subterranean buds attached to specialized storage organs) with a well-developed corm that is annually replaced and consists of a short, solid, vertical stem surrounded by strong outer corm tunics. The corm produces a single erect to spreading, channelled, linear leaf up to 0.5 m long that is covered with fine hairs on the lower surface. The plant reaches up to 0.4 m high in flower. The flowers occur in shades of light to deep orange or brick-red, and are produced in a cluster at the tip of the long slender scape (flower stem) that sometimes develops short side branches. The three large, showy outer tepals of the flowers are usually marked with a single large, emerald green or metallic blue peacock eye near the base, and are attractively dotted with black just below the eye. These eyes and dots act as nectar guides for the beetle pollinators of the species. The prominent white, centrally placed style consists of three flat branches, and a profusion of sticky orange pollen is produced from a large anther situated underneath each style branch. Each flower lasts just three days, but a succession of flowers is produced over a two-to three-week period, and the plant flowers from mid-September to early October in the wild. The flowers only open fully on hot, still days, remaining partially closed in cold and cloudy weather. The erect, oblong seed capsules split open from the top downwards, liberating numerous small, light brown angular seeds. 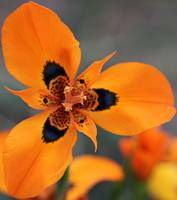 Moraea tulbaghensis is a protected species and its conservation status is Endangered. Its habitat is severely threatened by the ploughing of the fertile stony clay soil in which it grows, for ever-expanding cultivation of winter cereals. Unfortunately the species does not enjoy the protection of formal nature reserves, occurring mainly on privately owned farmland. 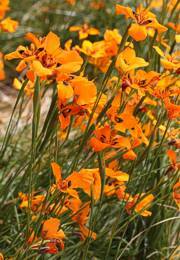 Moraea tulbaghensis is confined to a small area of the southwestern Cape extending from Tulbagh to Wellington. The plant occurs in colonies on flats in stony clay soils, in Breede Shale Fynbos vegetation. 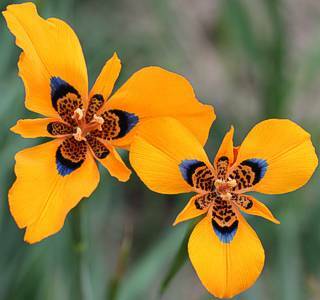 Some 200 species belong to the genus Moraea and it occurs widely in sub-Saharan Africa, with outliers in the Mediterranean and the Middle East; the winter rainfall zone of the Western Cape has the highest diversity. Most moraeas are winter-growing, with smaller numbers of summer-growing and evergreen species. Philip Miller, the Scottish horticulturist and botanist, coined the genus name Morea in 1758 in honour of Robert More of Shropshire, but its spelling was altered to Moraea by Linnaeus. 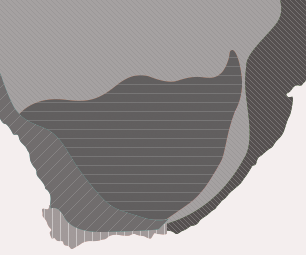 The Latinised specific name tulbaghensis is derived from the small town of Tulbagh in the southwestern Cape, famous for its spectacular mountain scenery, orchards, Cape Dutch architecture and 1969 earthquake. The species was described in 1932 by the Cape Town botanist, Dr Louisa Bolus, from specimens collected by her in the Tulbagh district. Previously recognized as a separate species, Moraea neopavonia is now regarded merely as a form of M. tulbaghensis. Moraea tulbaghensis is pollinated by hopliine scarab beetles that are attracted to the peacock eye markings located towards the base of the showy outer tepals. The species flowers prolifically in the spring season following bush fires of the preceding summer, and the seeds are dispersed from the capsules by the shaking action of wind. The species has no medicinal or magical uses amongst the indigenous peoples of South Africa, but it is used for ornamental purposes as a container plant by specialist growers of indigenous South African geophytes. 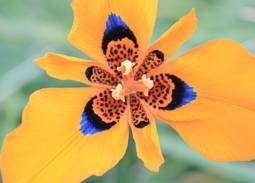 Although Moraea tulbaghensis is endangered in the wild, its cultivation presents no difficulty. It is suited to cultivation where winter temperatures do not fall below freezing, and where summers are absolutely dry. It is not suited to areas of high humidity. Plant the corms (obtainable only from specialist indigenous bulb nurseries) in autumn at a depth of 3 cm in a freely draining medium such as equal parts coarse river sand and finely sifted, well-rotted compost. A sunny aspect is required and the plants are most successfully cultivated under cover, in containers with a diameter of 30 cm, or in deep bulb frames. In cold climates of the northern hemisphere they are suited to cultivation in the cool greenhouse, and the plants require bright light for as much of the day as possible. 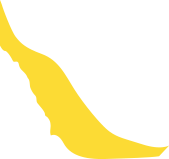 Regular, heavy drenching of the growing medium is needed during the winter-growing and spring-flowering periods, but the corms must be kept completely dry throughout the summer-dormant resting phase. The species is not generally suited to garden cultivation, except where dedicated, undisturbed areas are kept completely dry in summer, such as sunny rock garden pockets, and where mole rats, porcupines and guinea fowl do not roam. Moraea tulbaghensis is easily raised from fresh seeds (obtainable from the seed department at Kirstenbosch National Botanical Garden). Sow the seeds in late autumn in deep seed trays, pots or directly into deep seed beds, in the same medium recommended for mature corms. Sow the seeds at a depth of 3-4 mm and take care not to sow too thickly, to prevent overcrowding and reduce the likelihood of loss due to damping-off fungi. Keep the seeds constantly moist and they will germinate within four to six weeks. Seedlings can be left undisturbed for two growing seasons before lifting and planting into permanent positions at the beginning of their third winter growing season, during which some may flower for the first time, if well grown. Alternatively, propagate M. tulbaghensis by separating corm offsets that develop at the base of the mother corm by removing and planting them in autumn, just before active growth begins. The lower leaf surfaces of Moraea tulbaghensis are susceptible to infestation by red spider mites as temperatures rise in late spring and early summer. The corms are subject to mealy bug infestation and to fungal rotting when not kept sufficiently dry during the summer months. Brown, N.A. & Duncan, G.D. 2006. Grow fynbos plants. Kirstenbosch Gardening Series. South African National Biodiversity Institute, Cape Town. Duncan, G.D. 1997. Moraeas of the Western Cape. Veld & Flora 83: 42-44. Duncan, G.D. 2000. Grow bulbs. Kirstenbosch Gardening Series. South African National Biodiversity Institute, Cape Town. Goldblatt, P. 1986. The moraeas of southern Africa. Annals of Kirstenbosch Botanic Gardens 14. National Botanical Gardens, Cape Town.